Making sure your customers leave reviews of your business can be a tricky process, even though actually leaving reviews is quite straightforward. That’s because the perceived effort can be quite high. So why not make it as easy as possible for your customers to leave feedback for you – whether it’s reviews on Google, Tripadvisor, or Facebook page reviews. Go to Settings on the top right corner of your page. Then click on Edit Page on the left hand side. Make sure that the Reviews option is showing and that Show Reviews is selected. If you’re not seeing Reviews just select Add a Tab at the bottom of the page and select Reviews. 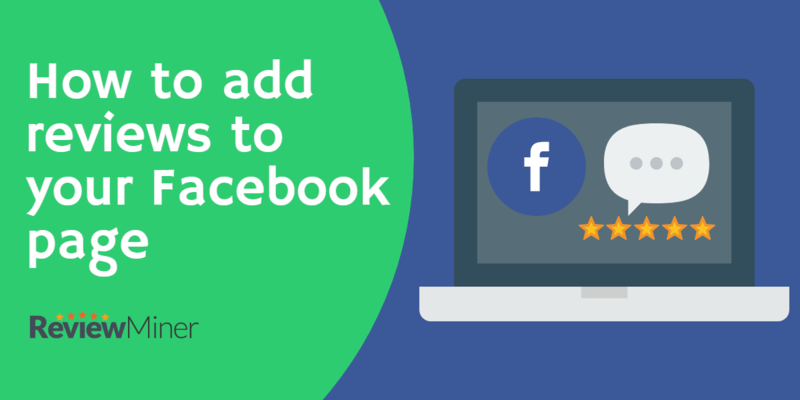 Here is where you’ll also find your Facebook page direct review link that you can share directly with your customers that takes them to the Reviews section of your business page. 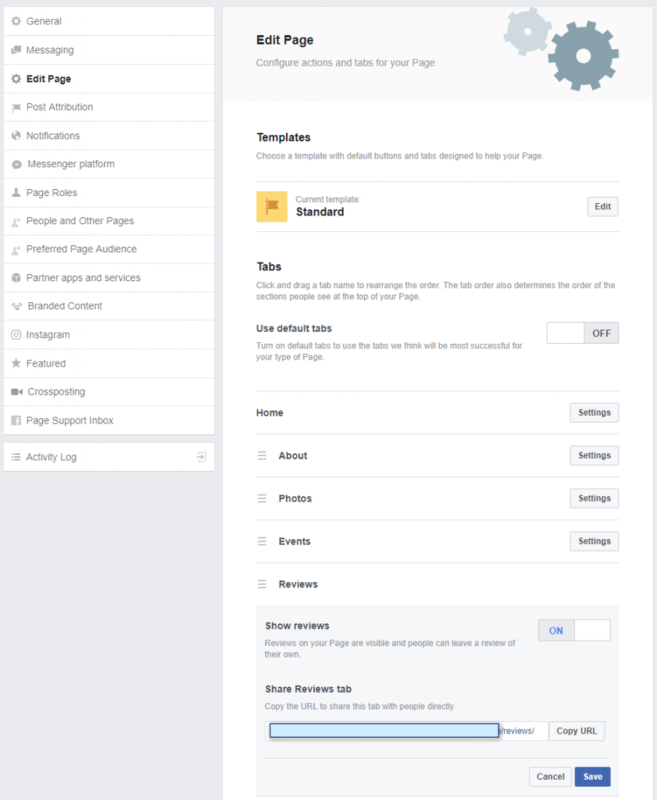 Facebook’s structure makes this very easy to do manually too. You simply add /reviews/ to the end of the address of your Facebook page. And that’s it. As you drive more of your customers to this page your Facebook reviews will increase. But bear in mind if you ask all of your customers to leave Facebook reviews you’ll inevitably pick up a few negative ones along the way. 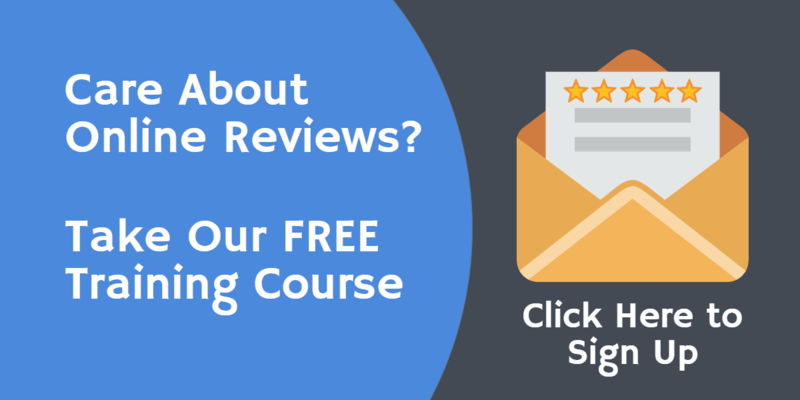 Using a service like Review Miner enables you to screen out customers who have had a negative experience before you send them to your Facebook business page to leave a review. Are the reviews lost if we deactivate the reviews that way ?